This card is just awesome! I love the emboss resist technique. 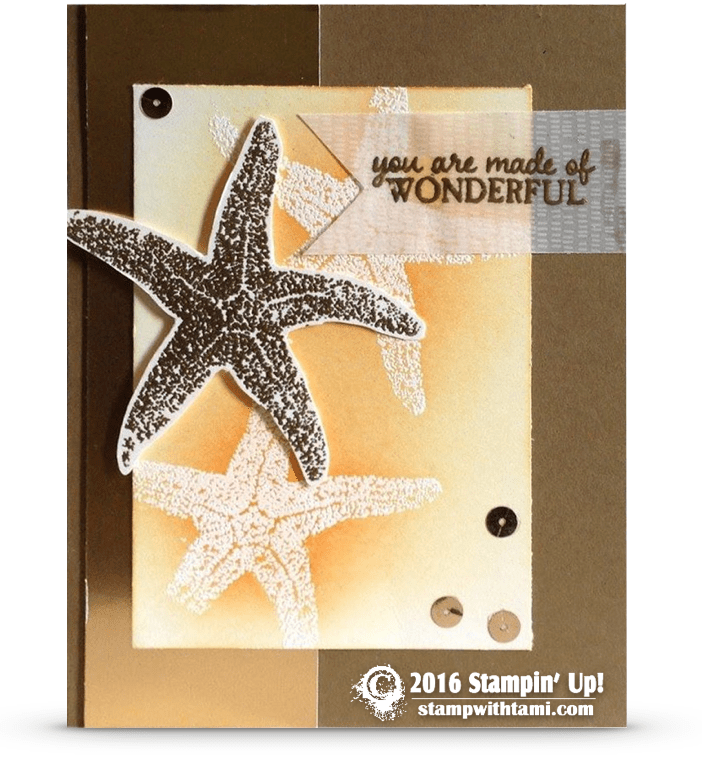 The star fish image is from the Stampin Up Picture Perfect stamp set. On the background, it’s heat embossed in white, then sponged. The embossing will resist the ink on the sponge creating this cool effect. The words are heat embossed on the Sale-a-Bration botanicals vellum stack. You can get this vellum free with a $50 order, but only until March 31. This is part 1 in a 2 part series on the Picture Perfect stamp set. Stay tuned tomorrow for Part 2.